mangroves edges. 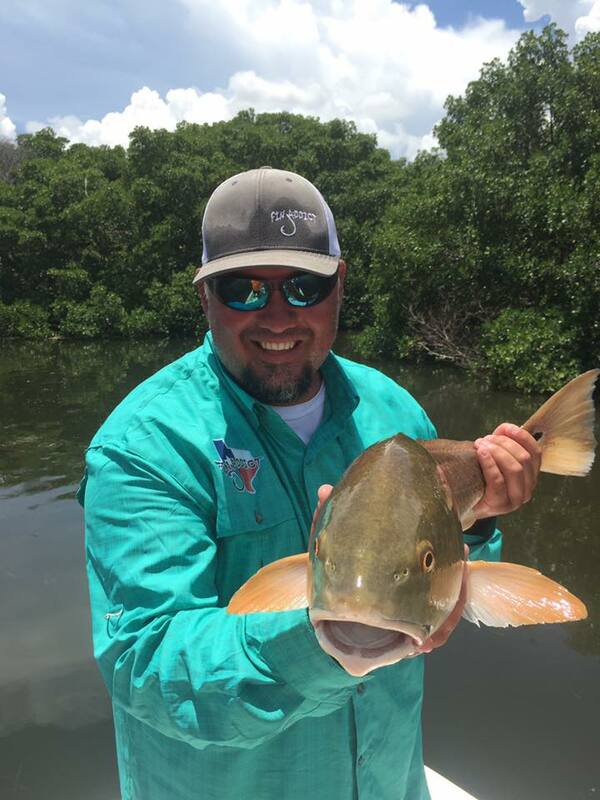 They have been most active early and late, and although the season remains closed, meaning catch and release only, they are one of my favorite fish to target. Exploding on the surface as they engulf the bait whole, then jumping and surging for the nearest structure looking to break you off. Very exciting! Some big, overslot redfish (27"+) have been roaming these same edges too. 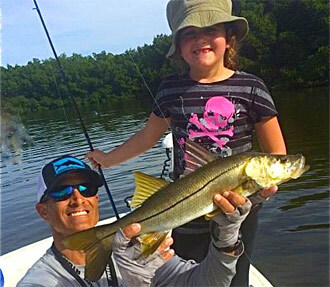 They often won't pass up a cut pinfish or a nice stinky piece of ladyfish. After a couple down years it looks like we've gotten a nice push of reds this summer which is great to see. When sitting in a little deeper water (4-6ft) we've been catching some big spanish mackerel as well as some very nice spotted and sand trout. Also plenty of bluefish, fun-sized sharks and the even the occasional cobia that we'll often see swimming around with one of the many large rays. 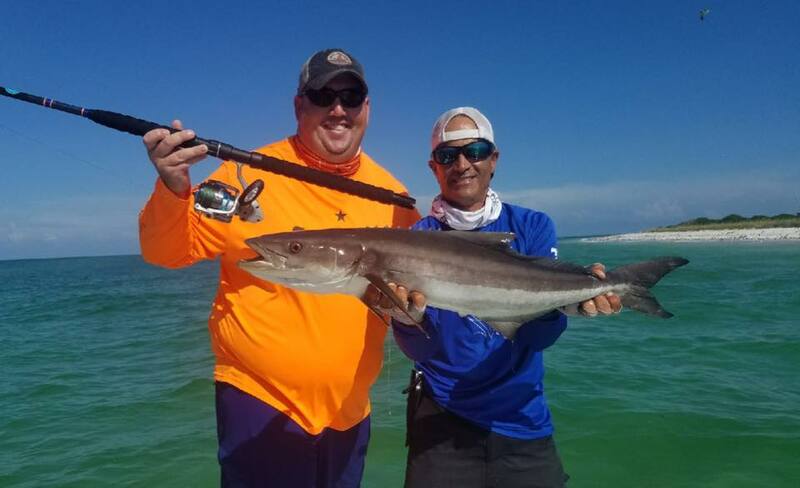 Although usually cooperative when they see a potential meal, the cobia are often situated underneath the rays and a precise cast is required or the ray will be hooked. We have also had some success with our juvenile (15-40lb) tarpon that stack up in some of the residential canals and deeper basins around the bay this time of year. They require a large helping of patience as they are known for being super finicky but when the stars align, the fight on light tackle is well worth the wait. I've had lots of folks wanting to get on the water before summer ends and with school looming just around the corner there aren't many days left! So don't delay!! Give me a call and book your adventure today!! Tight Lines, Capt. Chris (813) 908-6222.